Self Cure Remedy details of Take turmeric for the care and relief of Cough, including effectiveness and popularity scores of the remedy. Turmeric has a therapeutic effect on coughs, particularly a dry cough. Mix 1 teaspoon of turmeric powder with a glass of hot water or hot milk. Drink it twice a day. Turmeric can make gallbladder problems worse. Do not use turmeric if you have gallstones or a bile duct obstruction. Turmeric can cause stomach upset in some people. It might make stomach problems such as GERD worse. Do not take turmeric if it worsens symptoms of GERD. 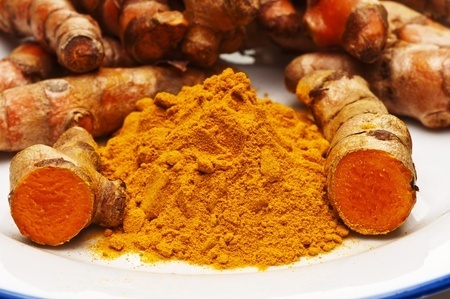 Taking turmeric might slow blood clotting. This might increase the risk of bruising and bleeding in people with bleeding disorders. It might cause extra bleeding during and after surgery. Stop using turmeric at least 2 weeks before a scheduled surgery. Turmeric contains a chemical called curcumin, which might decrease blood sugar in people with diabetes. Use with caution in people with diabetes as it might make blood sugar too low. Curcumin also acts like the hormone estrogen, which in theory can make hormone-sensitive conditions worse. However, some research shows that turmeric actually reduces the effects of estrogen in some hormone-sensitive cancer cells, which means turmeric might have beneficial effects on hormone-sensitive conditions. Until more is known, use cautiously if you have a condition that might be made worse by exposure to hormones. Taking high amounts of turmeric might prevent the absorption of iron. Turmeric should be used with caution in people with iron deficiency. The self cure remedy of Take turmeric for the care and relief of Cough has an effectiveness score of 3.0 and a popularity score of 5 on the self-cure system.